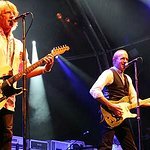 British rockers Status Quo have asked some of their celebrity fans to create works of art to be auctioned off for charity. 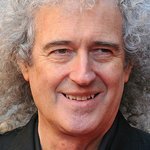 Brian Wilson, Rolf Harris, Alice Cooper, Brian May, Chris Tarrant, Jamie Cullum, Katie Melua, Paul Rogers and 50 other stars have stepped up to the challenge to benefit the Prince's Trust as part of the launch of the band’s new CD box set and double album being released to mark their 40th anniversary. Eight of the paintings will go under the hammer at London auction house Bonhams on November 5 at a special album launch party, with the rest of the collection being sold via a silent auction accessed through the Prince’s Trust website. Entrance to the auction is invitation only.